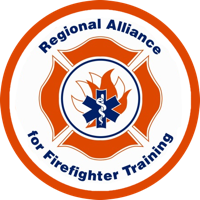 RAFT offers the three day Blue Card certification class on the third Tuesday, Wednesday, and Thursday of most months. Classes run daily starting at 9:00AM and ending at 5:00PM. A continental breakfast is provided as well as a choice for lunch. Completion of the 50-hour online training portion is mandatory prior to taking this 3 day class. Students who register for the course but fail to complete the online portion will not have the course registration fee refunded. 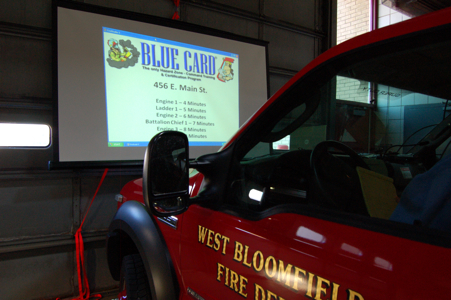 The Blue Card Command Certification Program is a state of the art training and certification system that teaches Company and Command Officers how to standardize local incident operations across their organization. 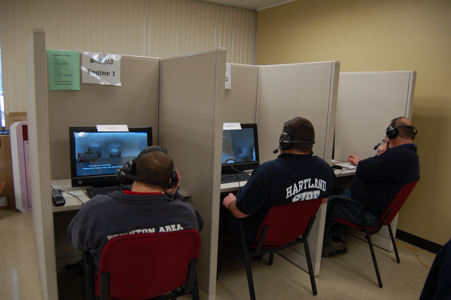 The program uses a combination of online and in-class simulation training which results in an Incident Commander solution that finally addresses local Hazard Zone operations. The training is based entirely on retired Fire Chief Alan Brunacini’s Fire Command and Command Safety Textbooks, which have been used globally in the Fire Service for over 30 years. Once the student has successfully completed the Blue Card online training program, they will be eligible to participate in the evaluation/testing phase of the program.